While we all wish we could have personal assistants to get ourselves through the day (because being an adult is hard), most of us have to forego that luxury. Luckily, computers and technology have come a long way, and can help us save time, money, and ease the headaches of our everyday tasks. Here are some of the helpful technological productivity tips and tools that can help you stay on top of your s***. A lot of people make the mistake of using a single monitor when they work, but you can be almost twice as productive with two or more screens. With two monitors, you can split up tasks. For instance, I'm writing this article on one monitor and have a spreadsheet file on the other to handle a different task. Using a single monitor and having to switch between two tabs/programs just slows you down. If you can’t get a second monitor for whatever reason, I suggest using a split-screen setup. For instance, with Windows 10, you can drag folders and browsers to either edge of your screen to simulate having two screens split down the middle of your monitor. My personal choice of calendar is Google Calendar, but there are plenty of others to choose from, most of which will help keep you on task. 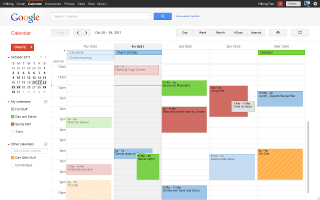 The nice thing about Google Calendar is that I can set up meetings, deadlines, and appointments on my computer, and then view or edit them later on my phone and vice versa. As soon as I know that I have to schedule a meeting/appointment, I throw it into Google Calendar so I can get a quick glimpse of what’s to come throughout the day/week/month whenever I want. Whether it's your email, Steam, bank, or whatever account, it can be hard to keep track of all your various passwords. There’s almost nothing more frustrating than being stuck at a login screen, trying to guess your own password. We’ve all been there. Sure, lots of websites will allow you to forget your password and change it, but this can take several minutes to resolve, and then you’re back to square one with having to remember that new password. Luckily, there are password managers such as KeePass and LastPass. I personally use KeePass as it’s free, and as long as you can remember your one KeePass login, you can save all your various username, passwords, and URLs for various sites that require logins. You can even use KeePass to open URLs and automatically type the login for you, once you’ve got the program up and running. Ever come across an interesting article or an informative YouTube video, but don’t have time to get to it right away? Often, even if you try and make a mental note to read it later, the article just ends up slipping through the cracks. The Pocket desktop browser extension (and app) resolve those issues. With Pocket, anytime you come across an interesting video or story, you can save it to your Pocket folder in the cloud, and catch up on it later when you have more free time. The mobile app also lets you read stories offline, which is great if you’re on the train (or elsewhere) and don’t have Internet access. Have you ever wondered whether an email you sent out was actually read? You’re human, so of course you have. Luckily, there's the Streak Chrome desktop browser extension to help ease your mind. You can set it up so that you get pop-up notifications when your emails are being read, and if the recipient has location-enabled on their device, you can even see what city they’re in while they're reading it. The only downside is that if you send an email to multiple people at once, it doesn’t specifically designate who read the email, only that someone read it. Still, when sending an email to one person, you’ll at least know whether you should follow up on your messages.